One of the highlights of the recent Food Network South Beach Wine and Food Festival (SOBEWFF) was the wine seminars presented by Wine Spectator and hosted by Bruce Sanderson, the magazine’s Senior Editor. I attended three seminars during the festival, including one examining the Burgundy Terroirs and wines of Maison Louis Latour. Our gracious host was Louis-Fabrice Latour, general managing director of the winery and the eleventh generation to run the company. It was a magnificent tasting of six 2009 Louis Latour Pinot Noir offerings. 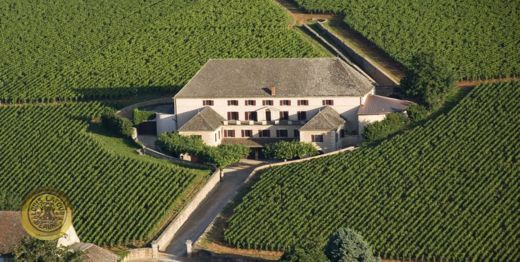 Domaine Louis Latour is one of the few wineries in Burgundy still completely family owned and operated. The family is from Aloxe-Corton, a small medieval village where the Latour family has been making wine since the 17th century. Today, the family has property throughout the Côte d’Or where they raise Chardonnay and Pinot Noir grapes. Domaine Louis Latour is a champion of environmentally sound farming. As Louis-Fabrice Latour said, “Terroir—the soil— is the most important factor in great wines.” Rather than using chemicals in the growing process, Latour employs biological methods whenever possible. The winery works to ensure the biodiversity of the Pinot Noir and Chardonnay varieties, uses alternative disease and virus controls rather than insecticides, uses biological protection to combat pests and works toward early intervention to prevent diseases such as mildew. It is important to the family that they practice aggressive conservation tactics to combat erosion in the vineyards. In many ways, the winemaking process today at Domaine Louis Latour is much as it was in the earliest days. The grapes are still harvested by hand, placed in wicker baskets and taken to a selection table at the winery. There, as the grapes move slowly along a conveyor, workers sort them by hand to eliminate any bad grapes. After the sorting, the grapes go into a destemmer, then drop into copper wagons and are taken by elevator up a floor at the winery so that gravity is used instead of pumping. After that, the grapes go into one of the more than nearly four dozen 100-year-old oak fermentation vats. Latour leaves the skins with the liquid for only 10 to 12 days. After that, extracting the color from the skins (pigeage) is still done the traditional way at Maison Louis Latour—by foot. When the winemaker determines that fermentation is complete, the “free-run” wine is drained off through wicker baskets. The pips and skins are then pressed to get the best color, fruit and tannins. That deep color wine is added back into the free-run wine and the blended wine is placed in oak barrels for 12 to 18 months. After that time, the quality of each barrel is checked and only the best goes into the final blend and eventually bottled for distribution. Louis-Fabrice Latour introduced his wines with the enthusiasm of a proud parent. With his guidance, along with the tasting notes and comments from Wine Spectator’s Sanderson, the tasting was a lesson in winemaking and tasting along with the pure joy of experiencing magnificent Burgundy Pinot Noirs. Latour explained that he chose 2009 wines because they are some of the best wines ever produced due to ideal growing conditions. August and September 2009 brought days of warmth and sun, which created beautiful deep, brilliant red wines with complex flavor profiles. 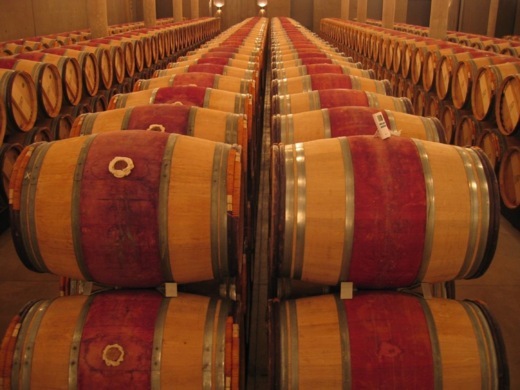 Latour suggested that if you have a choice between 2008 and 2009 wines, you should drink the 2009 wines first and let the 2008 wines rest another couple of years. This first wine, the Aloxe-Corton Premier Cru “Les Chaillots” is from the village of Aloxe-Corton. This wine, which received 91 points from Wine Spectator, comes from a vineyard in a stony, pebbly area of Burgundy with high levels of limestone. The wine was aged for 12 months and has a gorgeous ruby red color. This is a complex wine with a balance between powerful taste and acidity. The fruit flavor is up front but it has a bit of a mineral finish. It should be a great wine to drink now or over the next decade and retails for approximately $40. Our second wine, the Volnay Premier Cru “En Chevret” is from rocky soil, high in iron content. The wine has a 92 rating from Wine Spectator. During the tasting, both Sanderson and Latour defined this wine as “more feminine” than the first. I felt that it is definitely more delicate than the Aloxe-Corton “Les Chaillots.” Although it has a less powerful profile, the color is an intense ruby red and both the taste and the nose are of plums and strawberries. This wine, from grapes in the Village of Volnay with an easterly exposure, is much more elegant than the Aloxe-Corton. Latour suggested this wine will be in its prime between 2015 and 2030. It retails for approximately $50. We moved on to the third wine, the Beaune Premier Cru “Vignes Franches”, which also received 92 points from Wine Spectator. The Beaune is an ideal taste following the first two wines because it has the power of the Aloxe-Corton, but the finesse of the Volnay. This big, rich wine is a deep garnet red with tastes of raspberry, strawberry and a little pepper. There are noticeable tannins in this wine, which Sanderson described as “elegant and graceful.” Latour explained that this is a wine that can age for a long time, only getting better over the next few years. He suggested 2015 through 2030 as the best years to drink this one. It retails for approximately $63. The Gevrey-Chambertin Premier Cru “Les Cazetiers” is from a vineyard just 10 km out of Dijon that has maximum exposure to the sun early in the day. The wine has received 91 points from Wine Enthusiast and is quite powerful on the palette. The Gevrey-Chambertin has subtle floral notes, but strong minerals and tannins. The nice acidity helps to balance it out and Sanderson referred to this wine as “masculine and powerful.” The gorgeous dark cherry color and full mouth feel makes this a memorable wine. This wine is great to drink now and retails for about $50. The Château Corton Grancey Grand Cru is, in my opinion, one of the best wines I tasted the entire weekend at the SOBEWFF. In 1891, the Latour family took over Château Grancey and have been producing wines there since that time. The vines are all over 40 years old and this isn’t a wine they make every year. It is a blend of the best Corton grapes, each aged individually and then blended. This is a complex, earthy Pinot Noir that transported me back to the green hills of Burgundy. Both the nose and taste are fruity yet spicy with a hint of coffee. The tannins give it a rich mouthfeel. Unlike the previous wines that were aged for 12 months, this one is made of wines aged 14 to 18 months. It is a favorite with the major wine magazines, getting a 93 from Wine Enthusiast and a 92 from Wine Spectator. Both Latour and Sanderson believe this wine will age beautifully over the coming decade. It retails for about $120 per bottle. The last of the Latour wines we tasted, Romanée-Saint-Vivant Grand Cru “Les Quatre Journaux,” was also aged longer, about 14 to 18 months. It received a 93 score from both Wine Spectator and Wine Enthusiast. The wine has notes of cherry and spice and you can feel the tannins on the finish. The finish is quite powerful, but I believe it still tastes somewhat young. I believe this will be an incredible wine in a few more years and is possibly one of the best I’ve tasted anywhere. I love the hint of chocolate and spice in this wine. The complexity brings different aromas and tastes with every sip and it is a joy drinking this wine. Latour suggests this wine will be at its peak in the next five to ten years. It retails for approximately $310 per bottle. Both the wines of Maison Louis Latour and the director, Louis-Fabrice Latour, are excellent examples of why Burgundy Pinot Noir wines are held in such high esteem throughout the world. 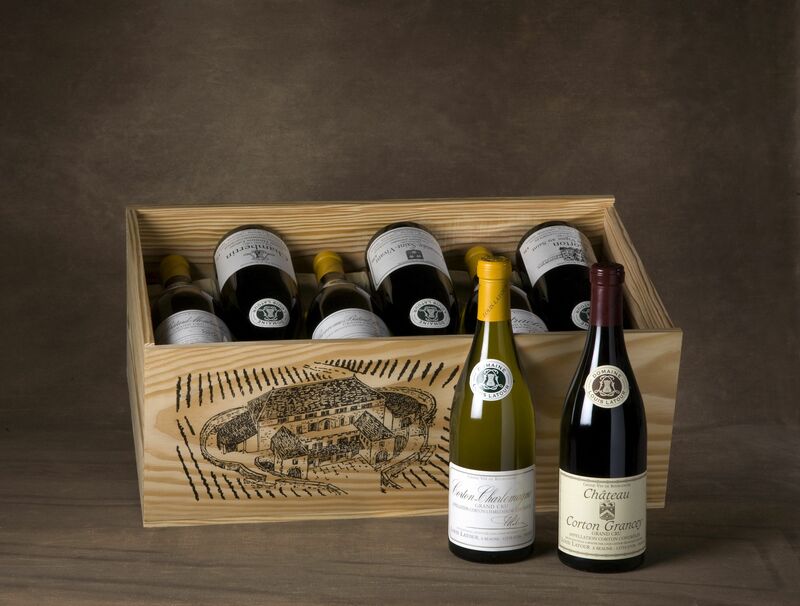 From a casual, great-with-dinner wine like the Beaune or Volnay, to an elegant wine for special occasions, like the Romanée-Saint-Vivant or Château Corton Grancey, the wines of Louis Latour make a statement. To read the Luxe Beat Magazine version of this article click on the title BURGUNDY TERRIORS WINES OF MASION LOUIS LATOUR. Susan Lanier-Graham is a freelance food, wine and travel journalist with more than 25 years' experience in the luxury travel industry. She is the owner of WanderWithWonder.com and has authored more than 75 books and hundreds of magazine articles. An accomplished speaker and writer, Susan travels the world looking for life's "wow" moments. She seeks out wonders whether they are around the world or across the street. Susan writes mainly for the luxury travel and lifestyles market, contributing to a variety of print and online publications and also works for a diverse set of corporate clients. Her work has appeared in such publications as AAA Highroads, AAA Home & Away, So Scottsdale, Go Gilbert, Phoenix Home & Garden, Colorado Homes & Lifestyles, Design & Architecture, View Highlife, Countryside and more. Her work is found online at such sites as Mapquest.com, Hotels.com, TravelandLeisure.com, Vacationist.com, Sofitel.com, Marriott.com, HotelIndigo.com, and at Aol Travel and Fox News Travel. She is also a frequent contributor to the Travel Planners Radio Show with markets throughout the US and in Europe.